A photograph of the Mansour family in 1974. Nell Heeden Mansour is in the front right. 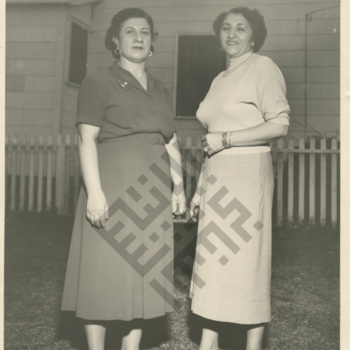 A photo of Nell Heeden Mansour (right) and an unidentified woman. A photo of the Mansour family at a meal. Nell Heeden Mansour is in the center front, wearing the dark dress.